It turns out the consequences of those bad policies don’t just fall on business owners. They fall on workers, too. Durgin-Park, a renowned Boston restaurant, has been around for a long time. It opened in 1827 when Massachusetts’ own John Quincy Adams was president of the United States. But now, after nearly two centuries, it’s closing. Why? The owner says it’s due in part to a recently passed law that raised the minimum wage from $11 to $12 an hour on January 1 and will further increase it to $15 by 2024. 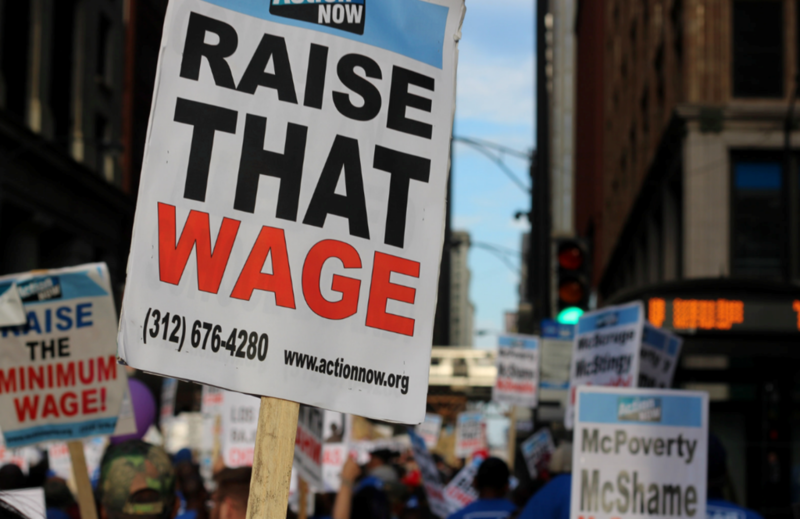 The $15 minimum wage has been a particular target for the national “Fight for $15” movement. According to Ark Restaurants CEO Michael Weinstein, the restaurant wasn’t profitable anymore. He says business has been down about 30 percent over the last five years. Weinstein says the dwindling head count, increase in minimum wage and health care costs, the expensive upkeep of an old building, and competition from the growing Seaport District were all factors in the restaurant’s downfall. One blogger for Minnesota Public Radio, Bob Collins, blamed the closing on mismanagement and “disloyalty” of the business toward workers—as though closing was somehow an act of revenge on the part of the owners rather than bending to economic reality. Certainly, the restaurant business is tough, regardless of minimum wage laws. There are a number of reasons one would close. However, there’s no doubt that the mandated increase in wages can have harmful consequences for business owners and workers alike. That isn’t because of petty meanness. It’s the bad policy, regardless of intentions. A 2017 study conducted by economists at the University of Washington illuminated how increased minimum wage laws in Seattle could hurt lower-income workers in particular. The law decreased employment for lower-income workers, and those who still had a job often had their hours cut, according to the report. So the policy didn’t just hurt the potential for new workers to find a job, it actually caused workers benefiting from the wage increase to make less money overall. That has hardly been the only study to show the adverse effects of a high minimum wage. Perhaps the blame shouldn’t fall on businesses. It instead belongs with the politicians and activists who insist that this time, it will all work out.